The Rascals came into being some 25 years ago and soon developed a very distinct and instantly recognisable sound. They don't fit easily into any obvious category, but provide a refreshing visit to an era of swinging, carefree jazz with a repertoire drawn from Jelly Roll Morton to Duke Ellington and Count Basie, via Fats Waller and John Kirby. The band is tuneful, swings like mad and exudes energy and enthusiasm. The Rascals are fronted by two superb musicians, Mike Wills and Tony Blincowe, who, between them, play enough reed instruments to stock a shop, cor maybe a museum. The drumless rhythm section consists of Perry Lock on piano, Mike Bennett bass and Dave Moorwood acoustic guitar occasional vocals and arrangements, and was once described by Digby Fairweather as "as springy as a trampoline and as uncluttered as air". Dave takes great delight in searching for gems amongst the myriad of almost forgotten songs of the 1920/30s, which, over the years, has resulted in a large, varied and unusual repertoire. The Rascals have made six CDs (all on the PEK label), five of which are still available. “Boiled Owl and Other Delicacies”, “Hors D’Oeuvres and Other Tasty Morsels”, “Love Potion Number 9 and other Heady Cocktails” featuring the vocal talents of Elizabeth May , “Mama Sings the Blues” with vocalist Susan Valliant Speer and a live album, “Laughing at Life” with the Rascals augmented by Ben Cummings on trumpet and Kevin Grenfell on trombone (usually known as the Lains Barn All Stars). Dave Moorwood – who started in Skiffle groups in the early 50’s playing banjoand guitar and even mandolin and clarinet. From about 1962 he worked in blues bands, dance bands and with an organ trio as well as with a variety of jazz bands. In 1990 he formed the Big Bear Stompers, a now almost legendary “Frisco” style band which survived into 1997 often playing host to top jazzmen as guests including Ball, Bilk and Lyttelton. However in January 1996 Dave was asked to join the Pete Allen Jazz Band and became a pivotal member of the rhythm section for the next eight years when he finally resigned to indulge himself playing his favourite acoustic guitar, singing and arranging for his own group, the Rascals of Rhythm. Dave takes great delight in searching for gems amongst the myriad almost forgotten songs of the 20’s and 30’s, many of which you will hear at Rascals’ performances. He is also a first choice “dep” in many top bands such as those of Roger Marks, Brian White, John Petters and Phil Mason. In 2004 he unveiled a new version of the Big Bear Stompers which has been taking the club and festival scene by storm. Mike Wills – he of the vast collection of instruments – first came to prominence playing trombone in the Oxford area. He plays fine piano too, but with the Rascals shows his mastery of the curly soprano sax as well as tenor sax and clarinet. A player with tremendous imagination, drive and swing. Tony Blincowe – another multi-reedman – not only plays beautiful clarinet but also straight soprano, alto and tenor saxes. He is comfortable in many styles from New Orleans through Big Bands to Modern jazz and is an ideal foil for Mike Wills with whom he has worked for many years. 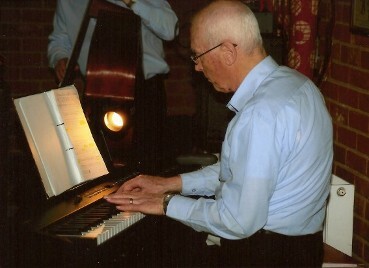 Tony joined in 2005 on the retirement of Tony Isaacs. Perry Lock – a most underrated pianist with a fine bluesy, rolling style – one of the best band pianists around. As an original Big Bear, Perry has worked with Dave for many years. Among his many talents Perry has most successfully tamed the electronic keyboard. In the age of the vanishing piano, this skill is vital to the Rascals’ success. Mike Bennett – double bass, has recently filled Roger Davis’ chair in the band very ably. Roger wished to do less travelling, so we have been lucky to have Mike come aboard. He is a player of wide experience with many bands and provides the solid base on which a drumless band like the Rascals depend on. Geoff Barwell – while our regular pianist Perry Lock was “hors de combat” during 2009, Geoff became a more or less permanent Rascal and now still plays with us at most of our residency gigs at the Lamb in Wantage and a number of other occasions. He fits the bill excellently with a slightly more “modern” approach and a driving exciting style. The Rascals have recorded with top musicians as guests and are happy to work live with them. These include Digby Fairweather, Enrico Tomasso, Denny Ilett and Ben Cummings on trumpet; Micky Cooke, Roy Williams, Ray Wordsworth and Jim Fryer (from the USA) on trombone; and Julian Stringle, Pete Allen, John Hallam and John Barnes on clarinet and saxes. The Rascals have also worked with a number of fine vocalists: Elizabeth May and Susan Valliant Speer for some years, and Joy Parke, Trixie Field and Cate Cody as guests. In recent years the list of top musicians making guest appearances with the Rascals at their home venue, the Lamb Inn in Mill Street, Wantage, has lengthened considerably. One of these is Lizzie Newbery. 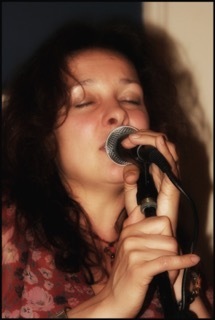 Besides being a charming vocalist with an engaging and lively personality, she is a Drama and Movement therapist, wife of trumpeter Ben Cummings and mother of 7 year old Louis. Spare time is not a concept she is familiar with, but nonetheless her style shows careful listening to Sarah Vaughan (her style), Anita O’Day (her phrasing) and Betty Carter (her originality), plus of course the spellbinding Billie Holiday. We first heard Susanne Sheehy in November 2009, singing with the Oxfordshire Big Band “Cutting Edge” at one of their occasional concerts. After thinking it over for several seconds we asked her if she would like to sing with the Rascals. 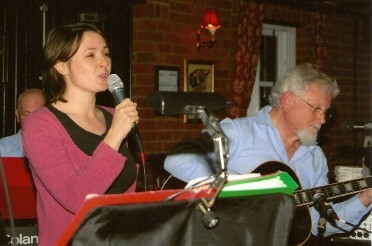 At her first appearance at the Lamb in Wantage she captivated our regular audience with her relaxed and tuneful style. She now has a considerable, and ever-expanding repertoire of songs with special Rascals arrangements. Susanne is a lecturer and clinical research fellow in Malarial medicine at St. Peter’s, Oxford, but jazz singing is clearly an important and joyful release for an extremely able and busy lady. 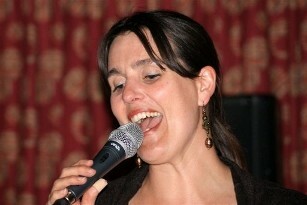 Kim Osmond has also begun to sing with the Rascals of Rhythm (2011). She “discovered” Ella Fitzgerald while still at school, and soon began listening to a wide variety of vocalists from the jazz past and is developing a wide repertoire. She has reintroduced some of the songs Lizzie May used to sing with the band and puts them, and all her songs, across with a joyful enthusiasm which our audiences find greatly to their liking. She has a busy home life; her husband is an art teacher and her three children are all of school age. We are delighted that they can spare her occasionally her to express her musical talent with us.